With Valentine’s Day now one week away, it’s time to start planning what you’re going to be doing, that is if you haven’t already started planning. 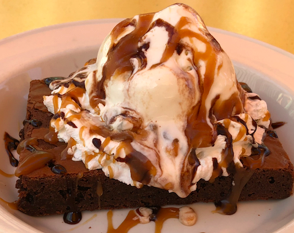 If you’re going to be visiting Downtown Disney at the Disneyland Resort, we have some great suggestions of things you can do to celebrate the with love in your life. At Catal, Guests will be able to enjoy a decadent three-course menu crafted by Chef Alfonso Ramirez. 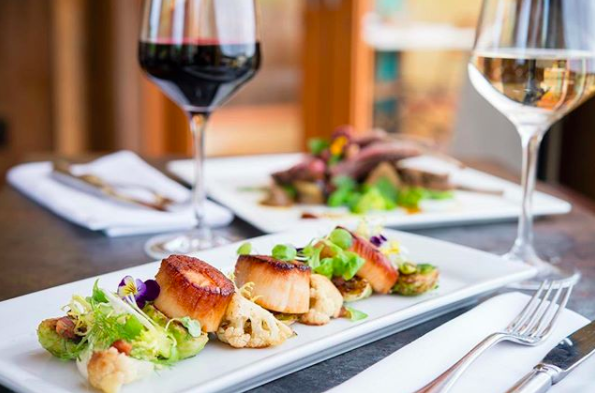 Guests will be able to choose from gourmet dishes such as filet mignon, Maine lobster pappardelle, and a rack of lamb. In addition, a special selection of Valentine’s Day inspired craft cocktails will be available. For those who purchase a bottle of Nicolas Feuillatte Brut Reserve, they will take home two champagne flutes with Catal heart wine charms. You can take a look at the menu and book your reservation here. Tortilla Jo’s will be open for lunch and dinner with a three-course prix fix menu that will be available all day from February 13-15. Don’t miss the Pork belly Al pastor and Halibut filet. There will also be a balloon artist for the kiddos and complimentary photo postcards given as keepsakes in the evening. An array of romantic dessert options and “Amor-ita” margarita pairings will be on the menu as well. You can take a look at the menu and book your reservation here. Looking for sweet treats? 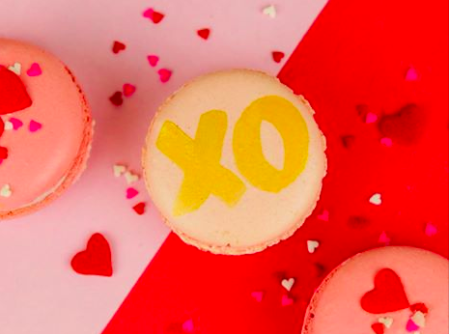 Consider stopping at Kayla’s Cake which is offering Valentine’s Day macarons such as Rose Champagne and Raspberry Cream. 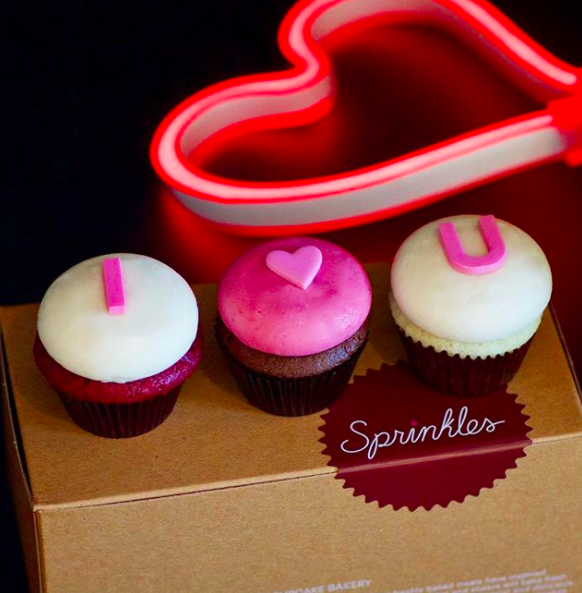 The two specially crafted flavors were inspired by Cupid’s arrow. You should also consider the Red Velvet Cake in a jar, moist red velvet cake topped with cream cheese frosting and white chocolate curls, and the Valrhona Chocolate Cake in a jar, rich chocolate cake topped with decadent valrhona chocolate buttercream. 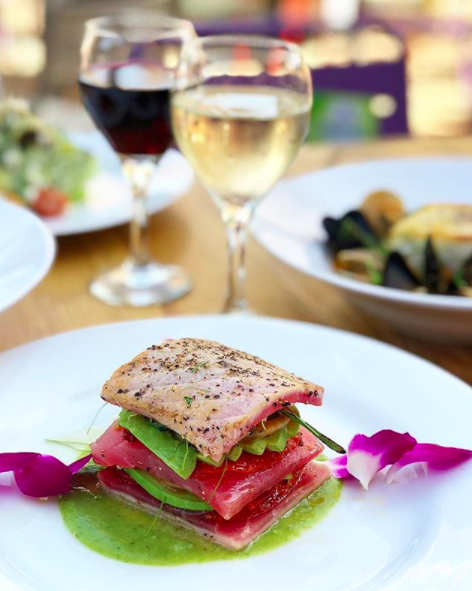 One thing is for sure, if you’ll be visiting Downtown Disney for Valentine’s Day, deliciousness is in the air, in addition to love! January 30, 2008 Recent News Comments Off on Narnia no more?